Ho ho ho! 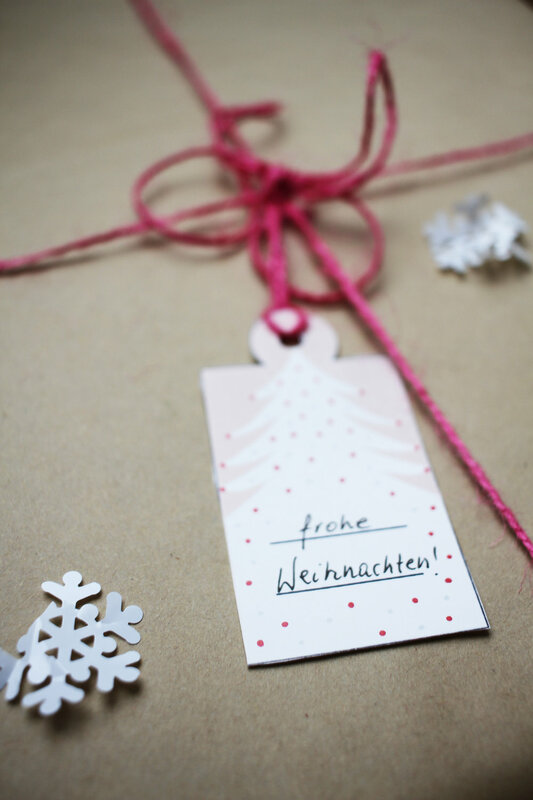 Welcome to this christmas party, this link party, this blogparade! You don't know what I am talking about? 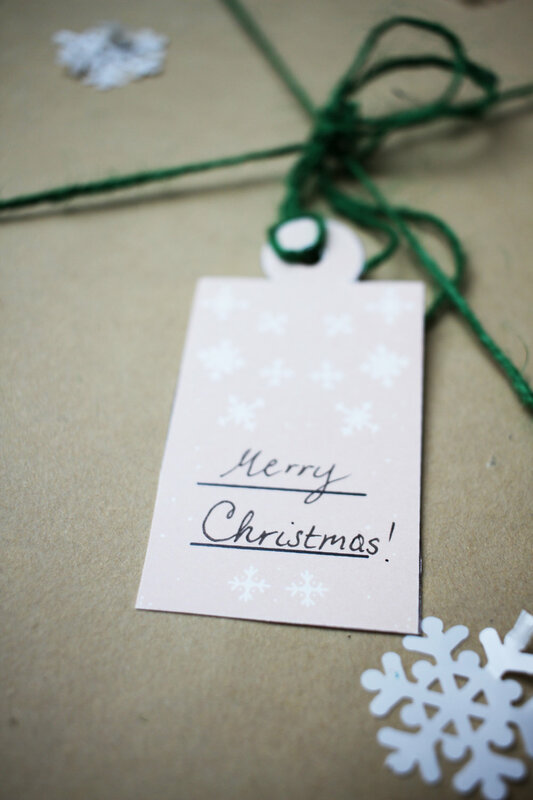 What you need to know is: we have gifts for you! You can get a lot of free christmas cards and gift tags from talented illustrators from all over the world. Isn't this amazing news? 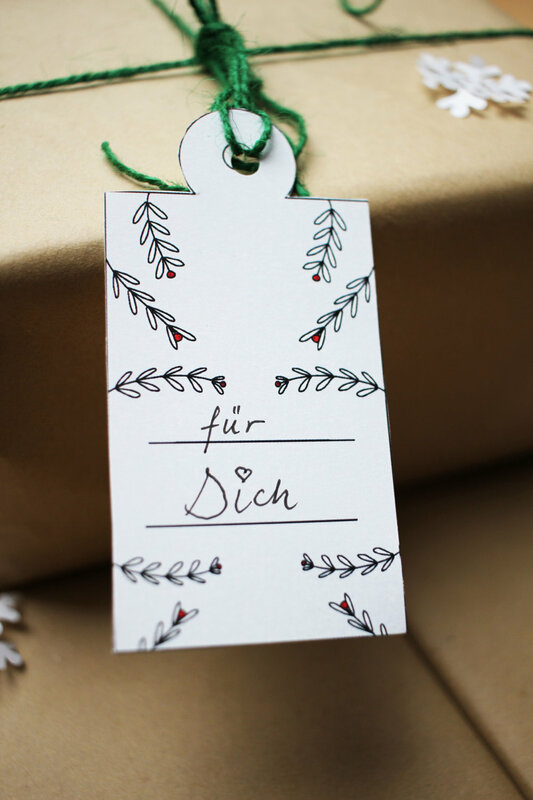 Online coach and illustrator Johanna Fritz started a link party (Blogparade in German) and using the hashtag #xmasillublogparade you can search on instagram for you favorite cards and tags, download and print them and be ready for Christmas! You can also simply check out Johanna's blog with links to everyone who joined this blog party! 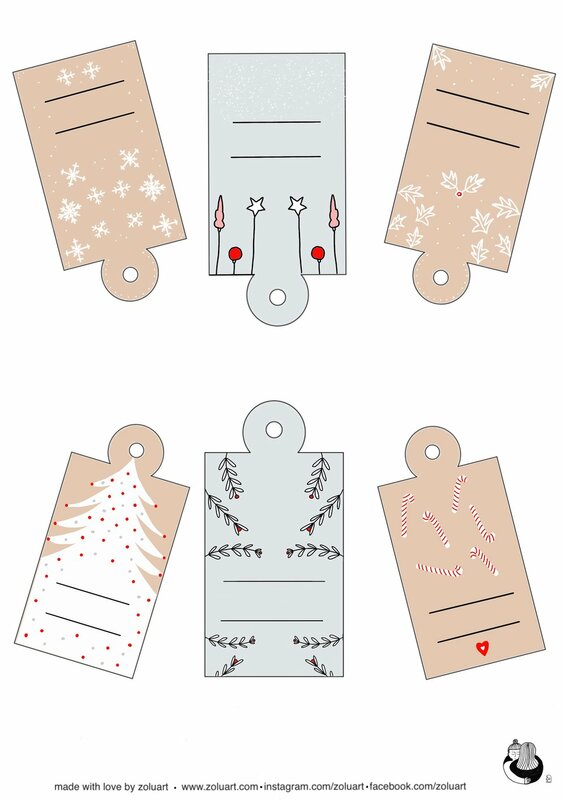 I love parties, so of course I decided to join and made some lovely gift tags for you guys! 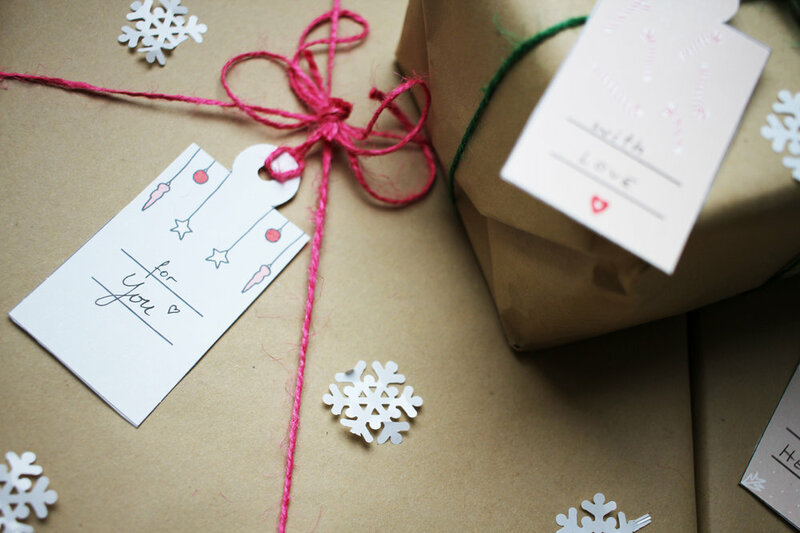 I'm a big fan of gifts, pretty wrapping and details and each year I'm looking for special wrapping paper, cords or ribbons and gift tags, which is not that easy to be honest...sometimes it's hard to find something simple, not over-christmasy cheesy, stylish. 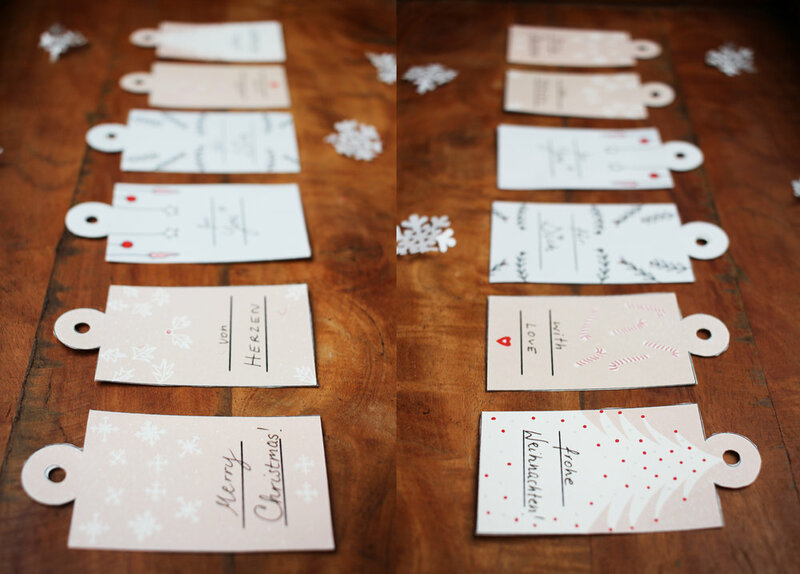 So this year I'm doing the gift tags myself! For me and for you! All you need to do is download them with the link on the bottom of this post, print them (I used 220gsm paper - this one, but you can use any paper you want), cut them out (I used a puncher for the holes) and get some cords of you choosing and there you go! 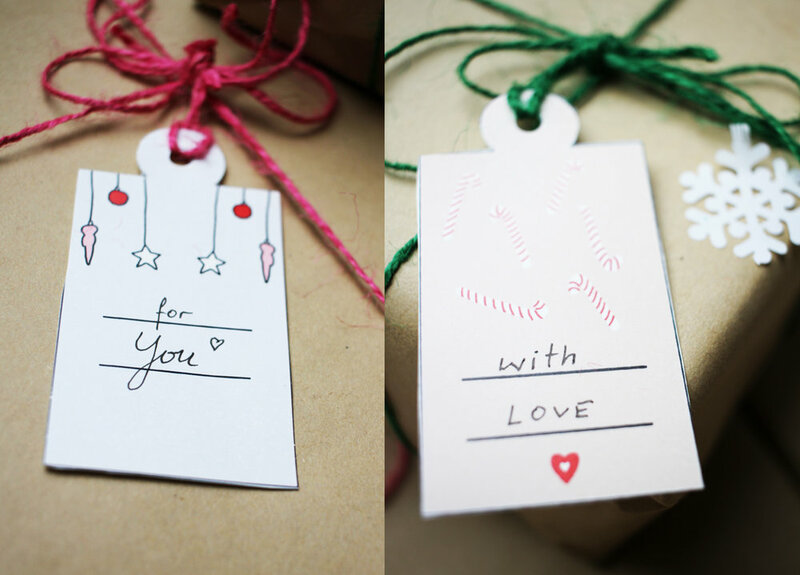 You'll have very individual gift tags for your friends and family, made with love, completely for free for you. 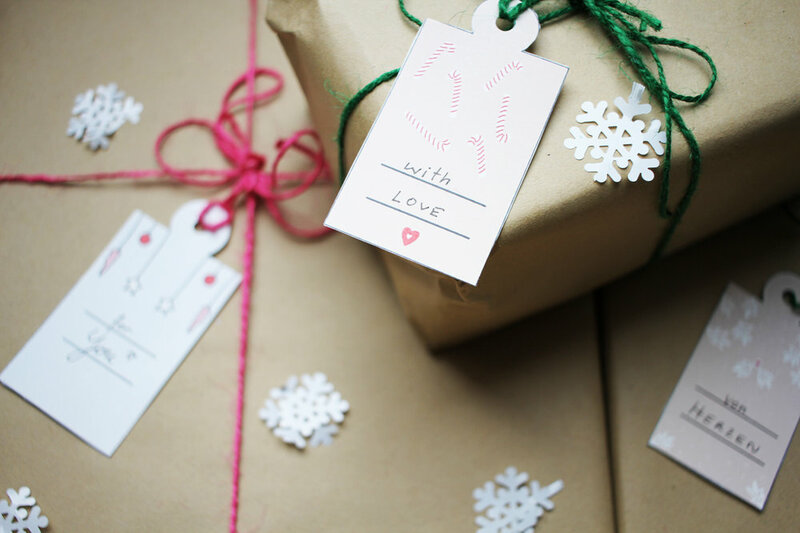 Here you can see some more examples of how your gifts could look this year. Of course the lines on the tags are free and you can write the name of the reciepient, the giver or anything you like on them! This is how the printable looks. Dowload it by clicking on the link on the bottom. You don't need to leave your e-mail or anything, no need for any code or other data. Just a click and the pritable is in your downloads!